These library return chutes are transformed into a playful and useful way for visitors to reflect on the books they have just finished reading. This new design not only prompts an unexpected moment of consideration for the visitor, but also provides a simple method for collecting reviews of books that requires no additional effort on the part of the visitor or librarians. Originally, visitors returning books were asked to sort them by call number into three chutes labelled 000–349, 350–650 and 651–999. However, for logistical reasons, these carefully sorted books were then mixed together again before being checked in, rendering the labels redundant. The redesigned chutes allow librarians to create special shelves for ‘loved’ or even ‘unloved’ or ‘neglected’ books. Visitors’ recommendations can even be automatically added to the online category as books are checked in from each chute. The label text can be updated from time to time to continue posing unexpected questions to visitors. This work was produced as part of the UTS Library Artist Residency Program at the University of Technology, Sydney. 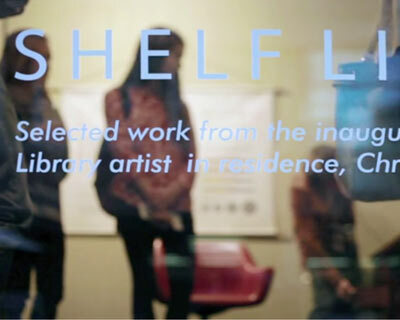 Featured works from a residency at UTS Library that re-imagine library interfaces to encourage serendipity and discovery. 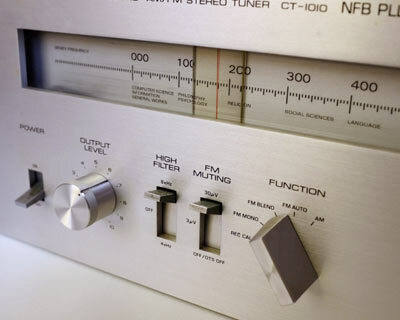 A device for ‘tuning-in’ to the books in a library. 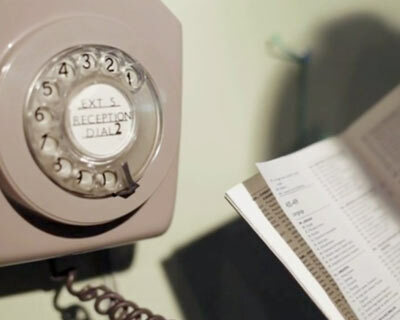 A telephone for dialling library books. 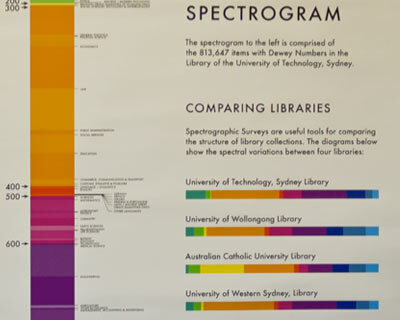 A visual system for examining, comparing and exploring large library collections.